Psychology is defined as the scientific study of the human mind and its functions. This free psychology course will focus on the visual side of psychology. You will learn all about the characteristics of the visual sensory system, examine the Gestalt principles of figure-ground, closure, similarity, and proximity, the different factors which influence depth perception, and the conditions which may affect sight in old age. The Psychology - Memory and Cognition course begins by reviewing the processes of visual perception which involve the selection, organisation and interpretation of information. You will then learn about reception, which is the essential process of receiving electromagnetic energy from the environment at the site of the visual receptor cells called rods and cones. You will also study the Gestalt psychology and principles, binocular cues including convergence, and examples of illusions including the Muller-Lyer illusion, Ames-room, Ponzo illusion, and the Moon illusion. Next, you will learn about memory and memory strategies such as a mnemonic device, narrative chaining, acrostics, and acronyms. You will learn that long-term memory is organised into declarative, procedural, semantic, and episodic as well as learn how information goes through encoding, storage, and retrieval stages. You will study the different types of memory loss such as organic amnesia, anterograde amnesia, retrograde amnesia, and Alzheimer's disease (which is the most common cause of dementia). 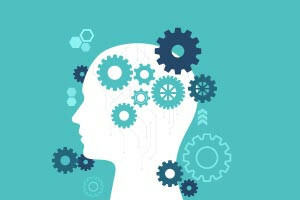 This online psychology course will be of great interest to learners who are interested in a career in psychology and would like to learn more about the psychological aspects of memory and cognition. It will also be valuable to teachers, tutors, and school counselors who want to help their students perform better in class. How the brain makes a memory is an amazing process so check out the course and learn more about memory and cognition now! Discuss perception and the characteristics of the visual sensory system. Define the Gestalt principles of figure-ground, closure, similarity, and proximity. List the different factors influencing depth perception. Define conditions which affect sight in old age. Discuss techniques used to enhance memory. Define terms associated with memory. Discuss different types of memory. Differentiate between biological and organic cases of forgetting.